Acid Cigars, achieve their incredible flavor by bringing together a combination of premium exotic tobaccos, aged for 5 years, which are then infused with essential oils to create a unique flavor and aroma, unique to all other cigars available on the market. 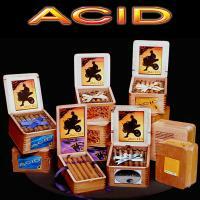 The Rebirth of Cigars begins with the Acid Blondie Cigars. This brand's secret infusion process has been so closely guarded, that no one else in the world has been able to replicate an Acid Blondie cigar. Next is the Acid Atom Maduro, which was released in 2001. 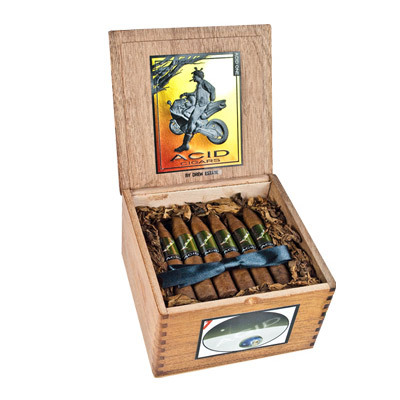 Each Acid Atom cigar contains premium, Nicaraguan long fillers that are bound by a light, seamless Connecticut wrapper. 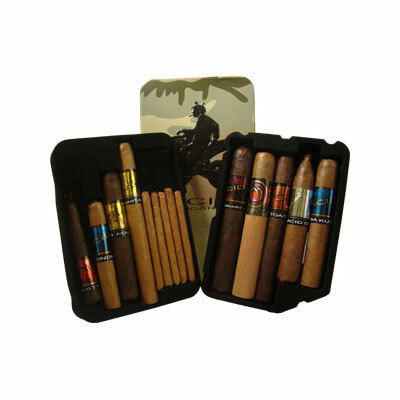 Next is the Acid C Note cigar, which contains premium, Nicaraguan long fillers that are bound by a light, seamless cigarillo wrapper. 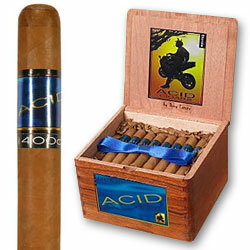 Lastly, our most popular Acid Cigar would have to be the Acid Subculture line, better known as the Acid Ronin. 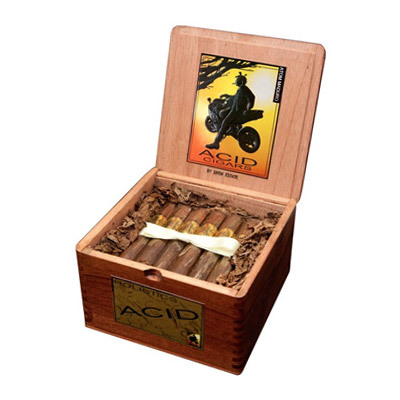 If you love Acid Cigars, you should definitely give the Acid Ronin Cigar line a chance!